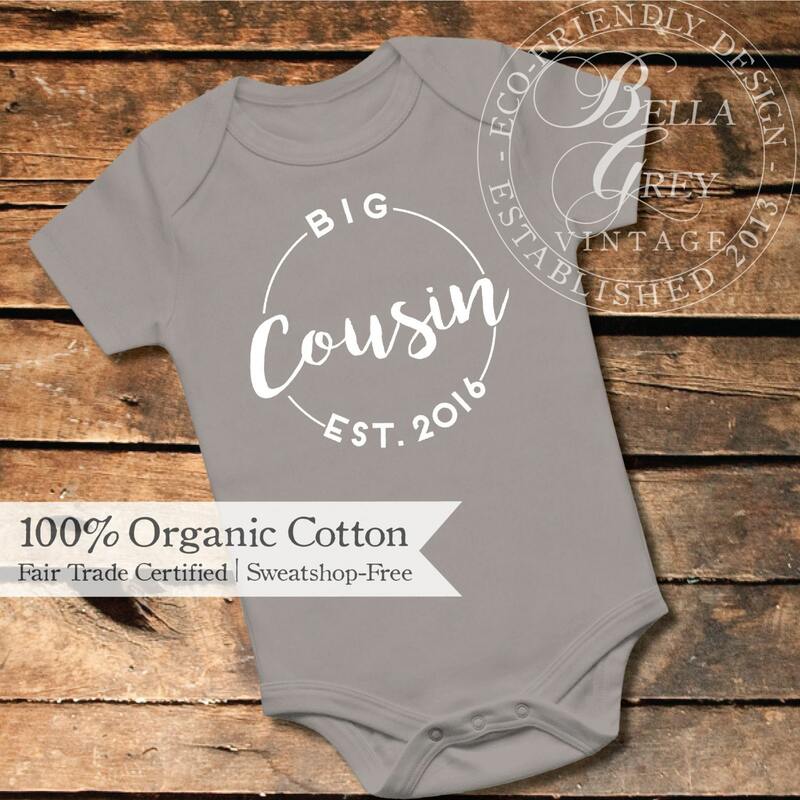 Designed on extra soft and breathable organic cotton. White bodysuits are Gerber Onesies brand. 1. Select the size and color you'd like from the drop-down menus. 2. Enter the est. 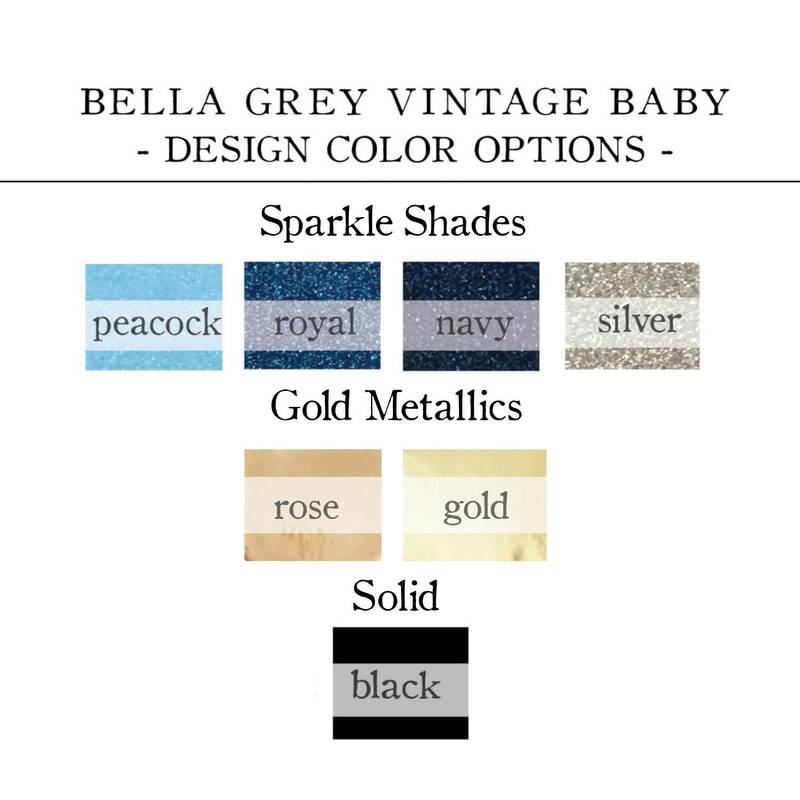 year into the "notes to BellaGreyVintage" box at checkout. Organic cotton is grown naturally and sustainably, without herbicides, pesticides or any other harmful chemicals. These safe farming methods preserve the soil, conserve energy, and help to protect the health of the people in the community where the cotton is grown. It also keeps our cotton clothing free of chemicals. Wash inside out on cold gentle cycle. Tumble dry low. Do not iron over design.